The development of St David’s built upon well-loved regions in Cardiff including the original St David's Shopping Centre and The Hayes. 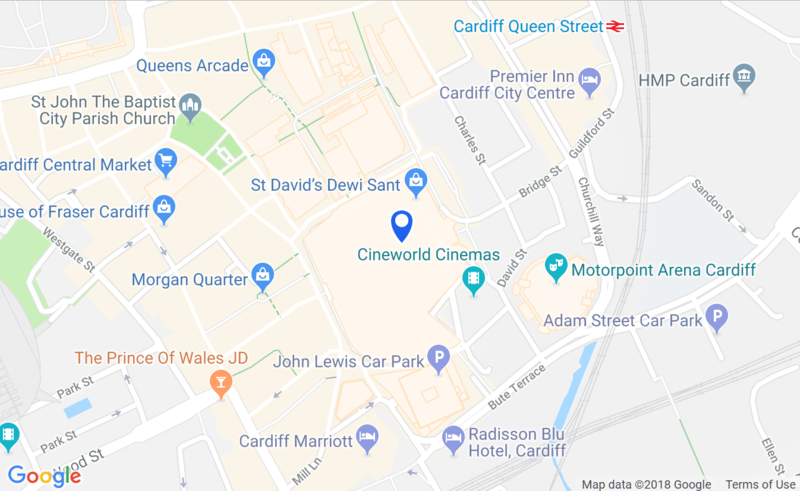 Its aim was to transform the Southern end of the city centre and breathe life into a previously underused area, establishing Cardiff as the home of fashion in Wales. Looking to the future, St David’s will play its part in helping Cardiff to become a leading European retail destination. It has created attractive public spaces for people to enjoy, alongside unique and exciting stores and cafes which cater to the needs of the 21st century shopper. In addition to the new shopping centre take a look at how St David’s has helped to elevate Cardiff into a world-class shopping destination; over 300 apartments, a significant investment in the public realm and public art, and an iconic new library building, this development brings a new cosmopolitan look and feel to the city. St David’s Dewi Sant is owned and managed by St David’s Ltd Partnership, a joint venture between Land Securities and Intu Properties PLC. St David’s Partnership has invested £675 million to create a spectacular new retail destination in Cardiff. It has created one of the largest centres in the country that represents 39% of the total retail floor space in the city – equivalent to 30 football pitches of shopping! Landsec, a FTSE 100 company, owns and manages some of the most successful and recognisable property assets in the UK. Founded in 1944, Landsec became a Real Estate Investment Trust in 2007 and now has a portfolio comprising 24 million sq ft of property. Meeting the space requirements of retailers drives our approach to the management and development of our properties. We provide retailers with the environments they need while giving our consumers a great retail and leisure experience. Click here to find out more about our retail portfolio. Intu owns 17 shopping centres across the UK, and the UK's first multichannel transactional shopping centre, intu.co.uk. And with over 400 million customer visits and over 35 million unique customer visits a year, our scale and experience gives us a unique insight into today’s consumer and what they are looking for from their shopping experience. Intu are passionate about creating compelling experiences that surprise and delight our millions of customers, attracting people more often and for longer. We focus on creating a day out experience that ensures each and every customer leaves us with a smile on their faces. We want them to be happier when they leave our centres than when they walked through the door.